(Bloomberg) -- Egg prices in the U.S. have surged close to a record high, just in time for Easter. The wholesale cost of a dozen eggs in the Midwest has more than doubled in the five weeks through March 23 to $2.71, U.S. Department of Agriculture data show. That’s the highest since prices hit a record $2.77 in August 2015 amid a bird flu outbreak. 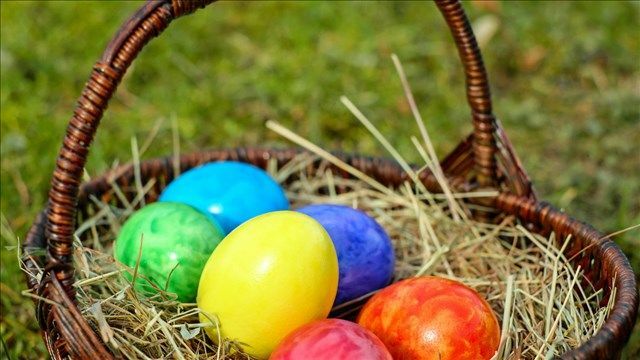 This year, Easter is on April 1. Retail prices have also rebounded from last year’s slump. The cost at $1.80 a dozen is 37 percent higher than a year earlier, according to a spring survey by the American Farm Bureau Federation. “U.S. egg exports were up nearly 50 percent in 2017 while egg production remained flat,” said John Newton, AFBF's Director of Market Intelligence. The U.S. had 385.6 million laying hens on March 1, the most for that month in at least a decade, USDA data show. The large flock signals plenty of egg supplies ahead, Jones of Advanced Economic Solutions said. Omelettes can stay on the menu. The American Farm Bureau says orange juice is also higher at the supermarket, nearly 8 percent, due in part to a devastating hurricane late last year that came through parts of Florida. Milk, however, decreased in price by 6 percent due to continued record production volumes in the United States and a very competitive beverage case, according to American Farm Bureau data.